WHAT A RIP OFF ! WHAT A LIBERTY ! When I was about 10 years old I can remember traveling with my sister, mum and dad down to Devon, This was a long and arduous journey by motorcycle and sidecar. My dad would drive, with my mum sitting on the back. Me and my sister would travel in the sidecar with our belongings and our two Alsatian dogs who would have terrible fights every five miles or so. So as to break up the journey a bit and let us stretch our legs dad stopped at Stonehenge near Salisbury for about an hour. There were quite a few other people about and you could sit among the stones, even touch them if you wanted ( most people did ) and wonder about how and why did this all get here. And the meaning of life, and the universe and all that sort of thing. 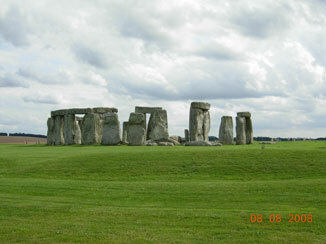 In August 2008 I called in to Stonehenge on the way back from Cornwall with my wife and three friends. This time traveling in our Audi A6 . What a difference. 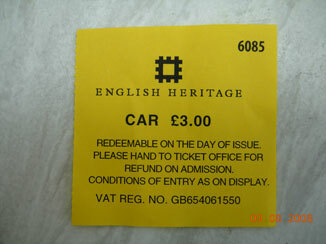 On arriving at Stonehenge you will be asked for three pounds for the car park. That's not bad I am thinking. The same price as Lands End but, this is just the beginning. To actually get into the monument you are next asked to pay £6.50 per adult. For five adults that works at £32.50 less £3 = £29.50 "WHAT A LIBERTY". You can't actually get very near to the stones when you pay. Might just as well walk along the A 344 that runs along side the monument. The view is about the same and its free. English Heritage can't move the monument and they can't move the A 344. What about a row of Conifers or a high wall with broken glass on top. Souvenirs are a rip off too. 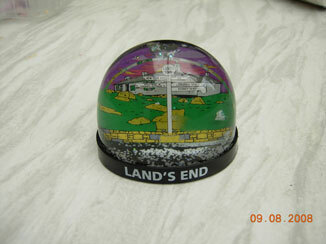 This tacky ( Made in China ) item above is 99p at Land's End ,but £4.99 at Stonehenge. Same item with a different name printed on. People in the Chinese factory must know the names of all English monuments. This poor man from Scotland was tricked by his friends in the pub. They told him it was free to get in. 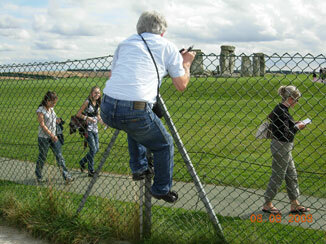 He just could not bear to part with £6.50 so he climbed the fence. The woman and two girls you can see have paid £6.50 each and their view is about the same. 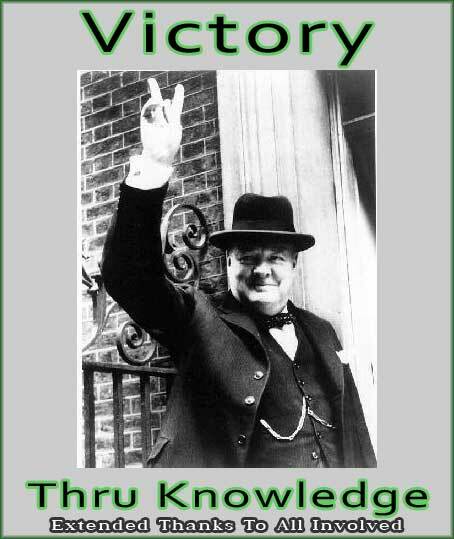 It was left to the peoples of Britain, after the Great War in 1918. "Pick up thy fence and walk"
And return it to it's right full owner. The peoples of this Green and Pleasant Land. And what would Churchill think of all this. Was it all for nothing. How much would Hitler be charging you to get into Stonehenge. 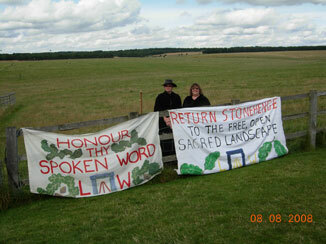 Thank goodness English Heritage are not running Land's End.